I started out with a 12x12 wood piece and dry brushed gesso, followed by a combination of Prima Impasto paints in Azure and Cobalt for a gradient/ombre effect. Then I added some stenciling with light paste and dry brushed the entire wood again with the gesso and paints I used for my first coat. 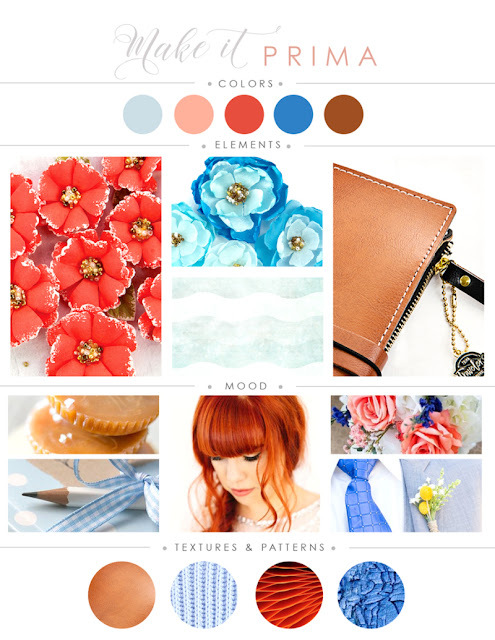 To bring back some of the brown spots, I added some of the Prima Artisan Powder in Umber in random spots. 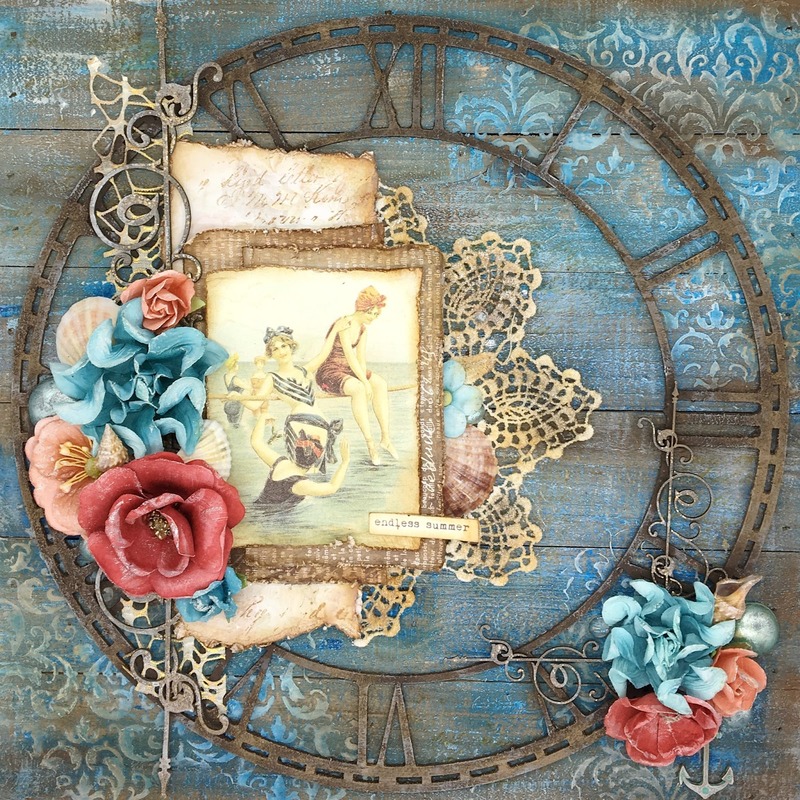 Next, I painted the large chipboard clock face with Prima Brown Rust paste. 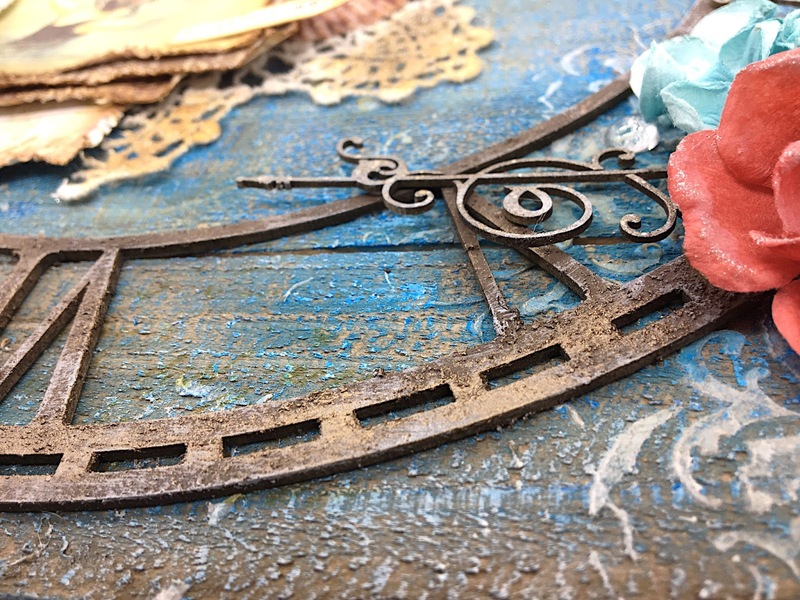 I dry brushed the clock face with gesso, then randomly added some Prima Metallique Wax in Bronze. I also added some of the wax to the doily, and the chipboard pieces that were previously treated with with a mixture of embossing powders for a distressed look. 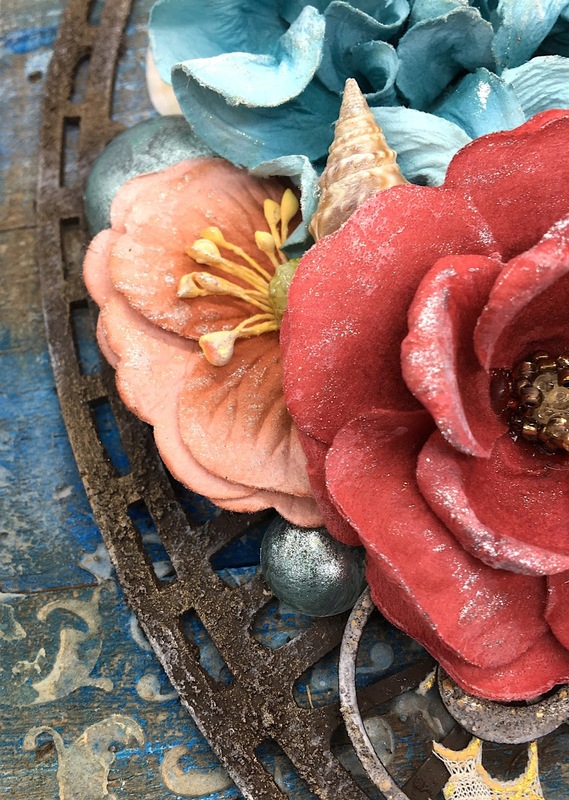 I added Prima Sparks pain in Magical Pond to the Melange pieces, as well as the blue flowers, and Sparks paint in Unicorn's Hair to highlight the rest of the piece. 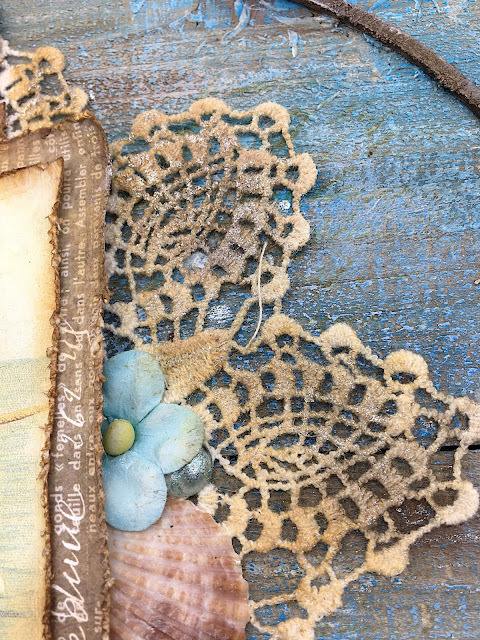 Here's a close up of the doily, which has the wax, paint, and also ink in Linen from the Prima Color Philosophy inks to give it an aged, stained feel to it. Thanks for taking a look at my project for the July Make it Prima challenge. Good luck to all of those who have entered!